It comprises a medal in gold with a feathered ground and central pale blue cabochon glass stone to both sides, with the characters "Yu chi shuang long baoxing" that may be translated as "Gifted by Imperial Command, Order of the Double Dragon" and to the reverse "San deng, di san" that may be translated as "Type 3, Third Class". Together with original neck ribbon. 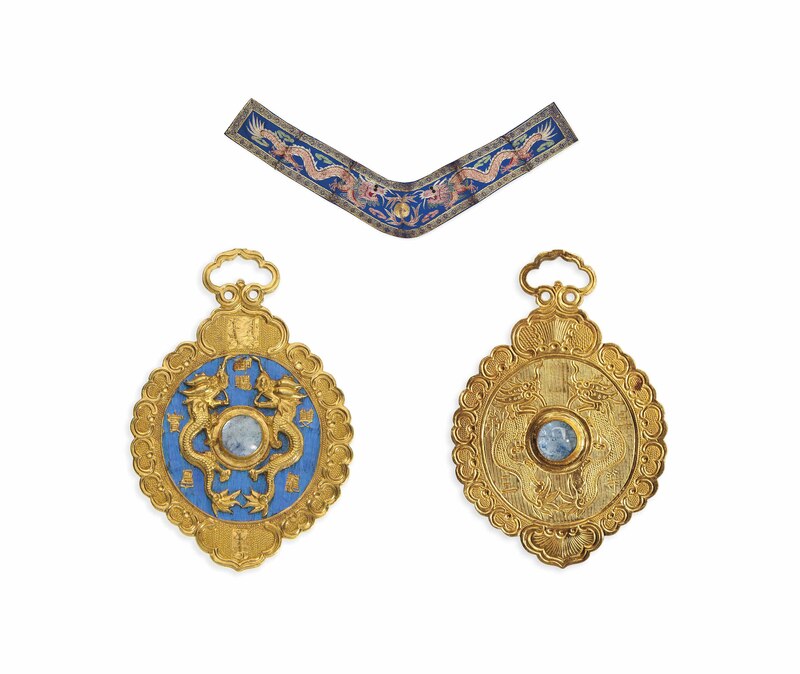 The Order of the Double Dragon was awarded to foreigners for services to the Guangxu Emperor. From 1908, its scope was extended to include Chinese subjects. This medal was awarded to Dr Thomas Laurie Brander, M.D., J.P. for his services to wounded Chinese soldiers during the first Sino-Japanese War (1894-1895). Dr Brander travelled to China with his wife in the late 19th century as a medical missionary for the Irish Presbyterian Church. Local Chinese people presented him and his wife with a set of Chinese robes, also offered in this sale as lot 1220.